I simply cut 3 looooong lengths of Berry and Olive Timeless Twine and braided them together, knotting at the ends. Hubby then put in 2 screw-in cup hooks to hold it up. 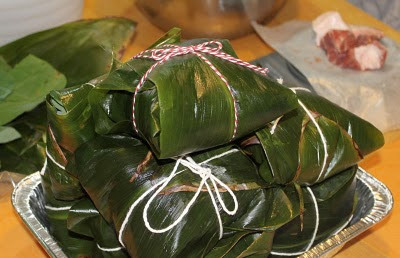 Hubby took the picture (I think he did an awesome job - looks totally professional!) and I made the card in Photoshop using the free Snowy Holiday kit from Nancy Kubo that was given out during Little Dreamer Designs' 25 Days of Christmas event - a huge thanks to Nancy and Little Dreamer Designs! To all of you: thank you so much for visiting my blog and leaving all your wonderful comments - they're like little presents every time! I hope you all have a very Merry Christmas!! Instead of using plain old white cotton string, I tied this one off with some Holly Berry Red Timeless Twine! Isn't it cute and festive?! This one is definitely the envy of all its friends! If you stop by tomorrow, I'll have another holiday Timeless Twine project to share! TFL! I know a lot of us are really busy so I decided to go with a super Clean & Simple card today. It's a one layer card with almost no embellishing - doesn't get much more CAS than that! I used the adorable Merry Mouse Wreath (I just love this little mouse! ), stamped on Kraft cardstock and colored entirely with colored pencils. I then added some old tiny rhinestones colored with a red Copic marker and a little bit of Stardust glitter pen and that's it! I hope you like it and that you'll come by the PCP group to see what other eye candy has been posted by the DT! TFL! Yay! I have another Your Next Stamp Challenge today! I know the timing is a little weird since it's only been 1 week since the last challenge, but we're switching things up just a bit for the end of the year! Since we know what a busy time this is, this will be our final challenge for 2010 and will last 3 weeks. I created the card base in Make the Cut and cut it out with my Cricut. Before gluing down the numbers, I Stickled all the edges. Finally I added Fhiona with foam tape. Yay! I have another Your Next Stamp Challenge today! This time our challenge was chosen by Jenny and is to create a clean and simple Christmas card. I just realized that I goofed a bit and didn't actually make a true Christmas card, but here it is anyway - sorry for my mistake! I used the really cute and fun Penguin Cheers stamp and a sketch from Card Positioning Systems. I stamped the image on white cardstock, colored with Copics and colored pencils with odorless mineral spirits, then cut the image out and popped it up on foam boosters. The swirl and sentiment are from There She Goes. I went over the swirls with a Stardust glitter pen and that's it! I used the super cute Penguin Buds stamp and FTL#118 from Clean & Simple Stamping. The buds were colored with Copics and colored pencils, cut out and popped up on foam boosters. For the sentiment, I diecut the COOL letters out of the same snowflake paper as the background and covered them with glitter. The rest of the letters were stamped with a JustRite alpha set and cut out freehand. This card is also for Top Tip Tuesday - Anything goes. I hope you like it and that you'll come by the PCP group to see what other eye candy has been posted by the DT! TFL! I made a tent card for the Some Odd Challenge - Window Cards. I used a Just Rite border stamp to make the snowflakes on the scalloped piece (embossed with holographic powder), and then sewed a white seed bead to the center of each. The centers of all the layers were cut out with a circle Nestie and the snowflake hanging in the center is an old Sizzix die. I stamped the JOY with a Just Rite alpha set and cut them each out individually before gluing them to the snowflake. This is also for Copic Creations - Shading your paper pieced pieces. I do this a lot so it was a fun challenge for me! You can see that I paper pieced her hat, scarf, jacket and shoes and did some shading on all the pieces with my Copics. To finish her off, I made a tiny felt rosette for her hat, flocked her jacket cuffs and tops of her boots, and added fringe to her scarf with some of the new Olive Green Timeless Twine. You know I already love using Timeless Twine and the owner, Stacy, sent me spools of her gorgeous new holiday colors to make things to share with you! So be on the lookout for lots more twine! This card is also for Stampin' for the Weekend - Winter, and One Stop - Christmas Cuties. I hope you like it and TFL! Welcome to the Your Next Stamp November New Release BLOG HOP! We've got some fabulous new YNS stamps to showcase today! These new stamps are available to buy right now from the Your Next Stamp store along with all your YNS favourites. We also have 2 wonderful guests joining us for our hop - the amazing Jen del Muro, and our November YNS Guest Designer Kerry Urbatch. Welcome girls! I'm the first stop on the hop so I'd like to invite you to please take some time to join us as you don't want to miss these fab new releases! The hop starts today (Thursday, November 18, at 03:00 EST) and ends on Saturday, November 20, at midnight EST. As always, here at Your Next Stamp, we have a wonderful prize for you to win! 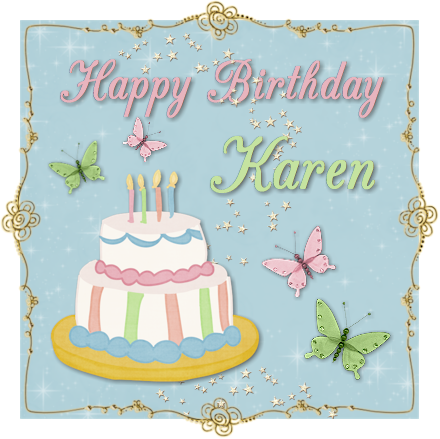 One lucky winner will be drawn at random from the comments at Karen's blog to receive a new release stamp package. It's not a requirement for you to comment at every stop along the hop to be eligible, but the DT would sure love to hear what you think of their new release creations! Not only is Karen offering an amazing hop prize, she's also holding a special 20% OFF YOUR ORDER sale which is running for an entire week (from today until November 25 at midnight EST)! 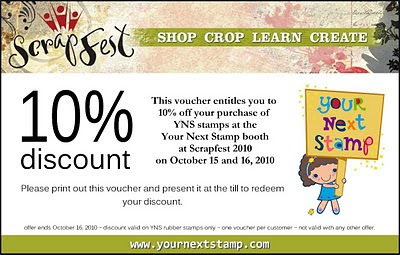 Be sure to enter the code YNSNOV when checking out at Your Next Stamp to receive your 20% discount! I used the new stamp Football Dude (it comes with the sentiment!) and Jen's Sketch For You To Try. I wanted to base him on the University of Hawaii home uniforms (black and green) and I was lucky enough to find this green star paper in my stash! When I looked at pics of the uniforms online, they had a lot more black, so I took some creative license and gave him a little more green. Final touches: I cut a star out of acetate using a Nesties die, edged it with black Stickles, and tied a black button in the center. All the PP edges were distressed and I freehand cut the sentiment pieces and their black cardstock mats. I stamped Mini Snowman (which also comes full sized), colored with Copics, shaded with colored pencils and odorless mineral spirits, then cut out with a circle Nestie. I did a spotted background with Copics, and sewed bitty seed beads all around the circle using a strand of iridescent tinsel as thread. For the base, I cut 1 scalloped circle from patterned paper and 2 from white cardstock and glued them all together to make it stronger. For the clothespin, I used pliers to take it apart and painted the wood with white acrylic paint. I glued strips of patterned paper to both sides and sanded down the edges flush with the wood. I then put the pin back together and glued the snowman to the front and a magnet to the back. So now it's time for you to hop on over to our totally awesome guest, Jen del Muro, as she is the next stop on our hop, but I'd love it if you left me a comment before you go! Also, I'd just like to remind you all about our current YNS Challenge chosen by the wonderful Crystal! It ends on Tuesday, November 23, so you still have plenty of time to join in! 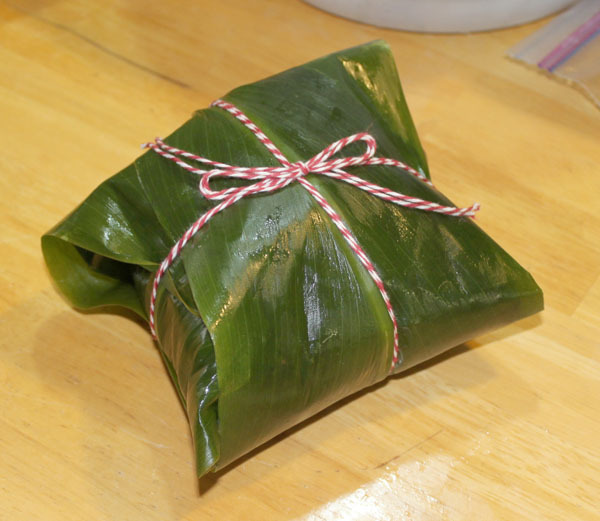 The challenge is extra special as we are being co-sponsored by Really Reasonable Ribbon, so why not stop in at the YNS Challenge blog and join in! Thanks so much for hopping with us today! We hope you enjoy all of our creations! Yay! I have another Your Next Stamp Challenge today! Before I get to the theme, I have a bit of news: we're being co-sponsored by Really Reasonable Ribbon!! They have an awesome selection, so please do check them out! They're also giving away a $10 gift certificate to a random winner, so there's extra incentive to play along with us! This time our theme was chosen by Crystal and she wants us to "YNS it!" Choose at least two of the following - Yellow, Nesties, and/or Stickles. I used the fun Holiday Stockings set and a sketch from Waltzingmouse. I stamped all the stockings on a piece of patterned paper and also on white cardstock. I cut the accent pieces from the cardstock and glued them over the PP versions and flocked them. The green parts were colored with colored pencils and I Stickled the trees and snowflake. I cut the stars out with my star Nesties (the smaller ones were actually cut with the dies and I traced and hand cut the larger size), then inked and Stickled the edges and "hung" the stockings with mini brads for the pegs. To finish the card, I cut a card base with my Nesties and added a bow of hand-dyed seam binding and a Making Memories rub on. We hope you'll play along with us! One lucky participant will be drawn at random to win $10 in YNS Stamp Bucks and one other will win $10 from Really Reasonable Ribbon!! You don't have to use YNS images on your card, but if you do you'll get a double entry in the draw! Also, Karen will choose one card, and that winner will get the YNS Challenge "Top Pick" blinkie to proudly display on their blog PLUS $5 in YNS Stamp Bucks! You must use a YNS image to be eligible to be chosen for Top Pick. I used Very Vintage Labels No. 4 and a sentiment stamp from Verve. I ran my glue pen over the thin lines of the label and poured ultra fine glitter all over it. I added a bunch of 'bellies - buttons, hand dyed seam binding, twine, and rhinestones - I had so much fun making this! This tag is also for Charisma Cardz - "With love at Christmas" and Delightful Challenges - stitching. I hope you like it and TFL! I used Light Up the Holidays and for my sketch, FTL #114. Being a 1-layer card, it's supposed to be really simple, but I did some fussy cutting which took most of the simple right out of it! I couldn't help it - when I saw the sketch it made me think of a string of lights! I stamped the big lights twice on white cardstock and colored with Copics. I cut them out then covered just the bulb portion with clear dimensional adhesive (you can see the glare off of some of the lights in the picture). I gave them little hanging hooks by taping bits of bent wire to the backs of the lights and then strung them on some Peapod twine. I added a tiny bow of the same twine to the middle light and used foam tape to mount the lights around the sentiment. BTW - the sentiment comes with a row of bitty lights underneath it and I didn't want them to stamp. Instead of trying to not ink them, I cut them off VERY carefully with a craft knife, making sure to cut straight up and down so I wouldn't undercut either side. After I cut, I test stamped both parts and they work fine! I hope you like it and TFL! I used the super cute Christmas Leslie and a sketch from Truly Scrumptious (the optional extra challenge is any or all: petals, pearls and pins - I could only fit petals on mine). The tree was paper pieced with green patterned paper and I added silver stickles to the star and bitty rhinestones for the ornaments. To finish it off, I added a bow of hand-dyed seam binding topped with a flower that I glittered up and a button with a twine bow. I also glittered the letter stickers. All the PP and the stickers are really old Basic Grey (Fruitcake line). I used the gorgeous Rio Digi image from Simply Betty and have her holding a pumpkin that was a freebie from the Tiddly Inks Paper Craft Planet group. I printed them using my laser printer and colored them with Copics. Although it looks like I just left her hair completely white, if you look very closely, you might be able to see that I actually colored/shaded it with my lightest Warm Grey copics (W00, W0 and W1). I cut them both out and used a craft knife to cut carefully around Rio's hand so I could slip the pumpkin underneath to look like she's actually holding it. The bingo background paper is from the Lettering Delights Halloween Game Night graphic set and I made the medallion from some Halloween Bo Bunny paper cut into a scalloped strip using my long rectangle nesties. I topped it with a black button threaded with some fluffy black fibers. Lastly, I sewed all the way around the bingo card with a zigzag stitch. PaperPlay - "A haunting we will go"
Daring Cardmakers - "Trick or treating"
Hee hee! Don't you just love that quote?! I used the Little Piggy font from Lettering Delights because I wanted something whimsical to go with the quote. After printing, I cut it out with a long rectangle Nestie and also cut the matching scalloped rectangle from 2 different patterned papers (The Pets Stack from DCWV). I sponged the white cardstock with Distress ink then sewed it onto one of the scalloped pieces. Then I colored a bit of grass with my Copics and set it aside to make my doggie. I stamped Fhiona's Pet Dog (which is also available in the Fhiona's Pets and Fav Treats set), colored with Copics and cut out. Then I just glued him over the grass on the bookmark. Next I glued the front panel to the other scalloped rectangle. For the top, I made my own reinforcement by first punching PP with a 1/4" hole punch, then punching around it with a 1/2" circle punch. I punched through the bookmark with a 1/4" hole punch, then glued the reinforcements around the holes on the front and back. I put a piece of brown twill through the hole and tied it off with some Cappuccino Baker's Twine. This is also for A Spoon Full of Sugar - die cutting/punches. I used the Happy Haunting set and FTL #112 from Clean & Simple Stamping. I stamped the main image a few times and colored with a combo of Copics and Prismacolor colored pencils with odorless mineral spirits. For the banner, I used Make the Cut to copy my MFT Banner Day Die, but altered the little topper to have a jagged edge instead of the scalloped edge of the Die. I also cut the letters with my Cricut and then sewed it all together. 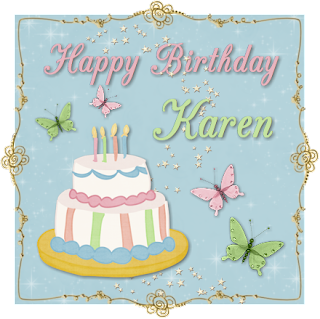 In case you don't already know, Karen's birthday is coming up on Monday, so she's having a big sale to celebrate! 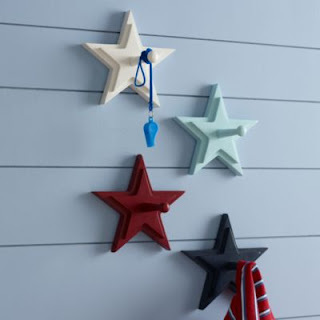 You can check out the sale items HERE, and while you're in the store, check out the embellishments section to get some great items at 10% off! And last, but definitely not least, YNS now carries Twinkling H2o paints so be sure to check them out as well! Thanks for stopping by! I used Send Me A Sign Bugg, altering her a bit for Halloween! Using Photoshop Elements 8, I erased out the solid white portion of her dress and layered a spider web design behind it (the web was a freebie from the Tiddly Paper Craft Planet group), then I added a sentiment with a little hanging spider. The font is SNF Goody and the spider is from DB Boo Ya. I colored her with Copics, Stickled her wings, and added a few rhinestones also colored with Copics. Lastly she was cut out and mounted with foam boosters. I cut out a bone from DB Boo Ya 2 times with my Cricut and glued them together for strength. Then I fashioned a handle from a thin strip of black cardstock and glued the bone to the front. And here's the surprise on the inside: a little ghost pops out when you open the drawer! I have to admit that the idea wasn't mine - I came across a pop-up match box while blog surfing! I cut out a ghost also from DB Boo Ya (love this font!) 3 times, putting 1 through the printer to get the "boo!" on the bottom (also using SNF Goody), then glued all 3 together. Since it's going to be repeatedly shoved into the box, I wanted it to be really strong. Next I cut a strip of acetate 5" x .5" and scored it every half inch. I accordian folded it to make the pop-up mechanism and glued it into the box bottom and to the back of the ghost. The whole thing was designed in Make the Cut. I also designed the divider to hold the 2 pieces of candy away from the pop-up portion. Hey everybody! I'm so excited to be playing in my first Friends of Waltzingmouse Stamps Blog Waltz! This month the theme is Autumn/Harvest creations. If you'd like to check out all the participating blogs, you can find the links HERE. For my project I decided to do another luminaria like the one I did last year. I redid the file with Make the Cut, adjusting the oval cut out to fit with the stamp I used from Very Vintage Labels No. 4. I stamped the image 4 times, cut them all out with the corresponding Nesties die, and hand cut out the insides of each. I inked all the inside and outside edges of each piece, glued a little leaf print vellum to the backs and added glitter over the thin outer line of the image. I glued all the images to the box base and then did all the embellishing. The flowers are from Prima and I added a flattened bead cap sprayed with Memories Mist (so they wouldn't be so bright silver) and a 1/4" brown cardstock punch to each. The leaves are also Prima, the branch punch is McGill and the bitty rhinestones are from eBay. For the other side, I hand dyed seam binding with several colors of Distress reinkers and added a button tied with rustic twine. I hope you like it and have fun with the rest of the Waltz! Welcome to the Your Next Stamp SURPRISE BLOG HOP! If you didn't arrive here from Chris' blog, please CLICK HERE to go to Karen's blog and begin hopping! The hop starts today (Friday, October 15th at 9:00 EST) and ends on Sunday, October 17th at midnight (EST). So what's this surprise hop about? Well....if you've popped by any of the YNS DT's blogs this week, you may have read our posts about today's very special hop showcasing a VERY special, NEW and EXCLUSIVE YNS stamp! 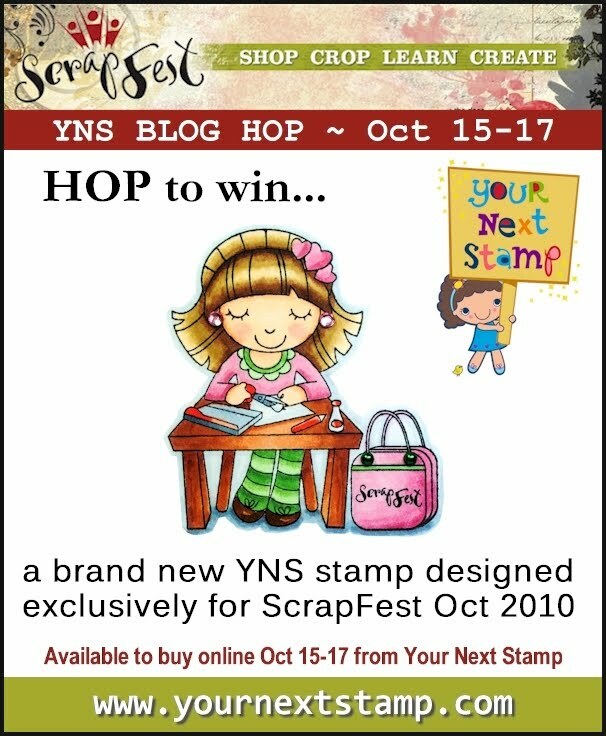 The DT have been "in the know" about a secret project involving YNS and ScrapFest for a little while, and now the day has finally come when we can officially announce the proud news that Karen was approached by Lisa (owner of ScrapFest in Ontario) to design an exclusive YNS stamp for this autumn's ScrapFest (October 15-16, 2010) - YAY!! This stamp will be available to buy from the Your Next Stamp booth at ScrapFest Ontario, but fear not if you can't get along to ScrapFest as Karen is also selling this fabulous stamp in the YNS online store!! IMPORTANT: This stamp will only be available to buy online for the duration of ScrapFest, so do not delay in placing your order! As it is only available for a very limited time, Karen is offering the stamp at a very special price of $6 with FREE SHIPPING*!! 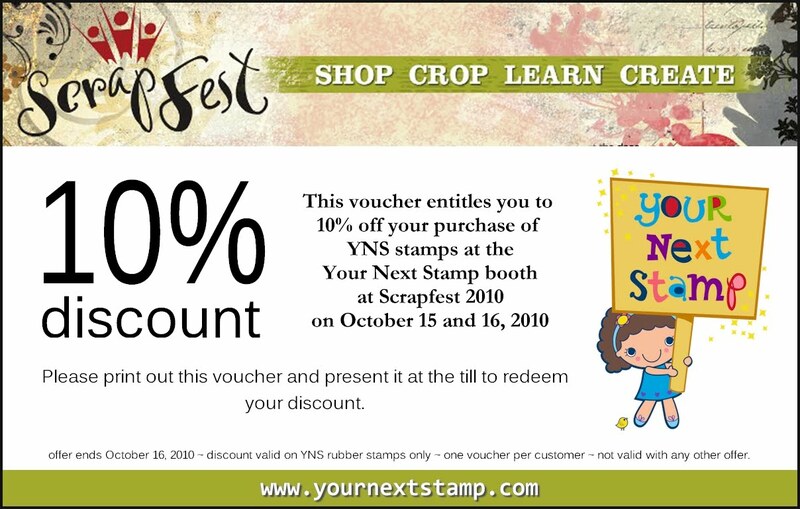 (* Free shipping only applies to the ScrapFest stamp. If you include other items in your order, you will be charged shipping accordingly). Now you can continue on by hopping to Beth's blog. 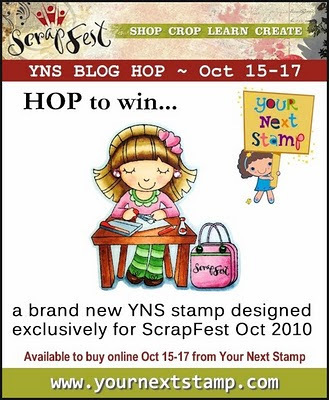 Be sure to complete the hop as we have a prize draw at the end where you can enter to win one of these gorgeous and exclusive YNS ScrapFest stamps. [If you purchase one of these stamps and then find you are the lucky winner of the prize draw, you will be given a $6 gift certificate to spend at the store instead.] The lucky winner will be randomly chosen on Monday, October 18th.